CROWN HEIGHTS, Brooklyn (WABC) -- A man was slashed and another stabbed during separate incidents that officials say appear to be at the hands of the same suspect inside a Brooklyn chicken restaurant this weekend. 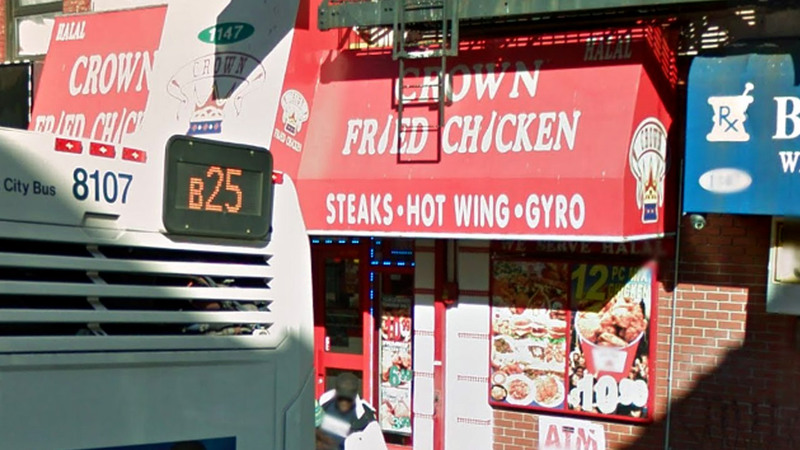 One victim, a 34-year-old man, was slashed in the face inside the Crown Fried Chicken on Fulton Street in Crown Heights at around 5 a.m. Sunday. Investigators said the suspect yelled "All these F----ts" and "I'm gonna shoot this place up" before swinging in the victim's direction, slashing him in the face. The attacker fled, and the victim was treated at Kings County Hospital with stitches and staples. A second victim, a 24-year-old man, was stabbed in another apparent scuffle with what appears to be the same man at the same restaurant. According to officials, the man was yelling at the victim's friend, and when the victim got in between, the attacker pulled out a knife and pushed him into the restaurant. The second man was stabbed in the rib and shoulder during the shoving. He was taken to Methodist Hospital for treatment of non-life threatening injuries. The NYPD Hate Crimes Task Force will investigate to determine if the attacks were bias crimes.